The Complete "BioEnergy Rehab Kit." Technology Pioneered by Award-winning Health Science Expert, Dr. Leonard G. Horowitz. You can use your BioEnergy Wand with or without the Chakra Disks. But you will want to own and use a hand-made custom-designed set like this. 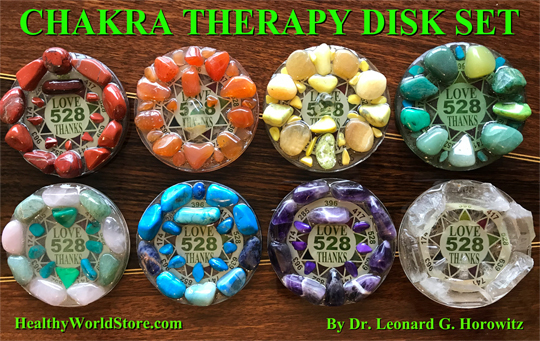 These beautiful gemstone arrayed disks are made from real gemstones held in a natural plant-resin crystallized-matrix hardened in 528Hz-- the "'MI'racle Frequency of 'LOVE 528.'" This design, manufacturing process, and the gemstones used, work together to give people a powerful self-help option. The disks stay on the chakras where you place them. They don't roll off the body like single gemstones during treatment sessions. These were designed for home care-giving as well as clinical practices. You can also purchase the individual BioEnergy Wand elsewhere from this store for only $1500. It too is a 'custom order' item, and will take 4-6 weeks for delivery. Elsewhere in this store you can also purchase instructional videos that teach you how to make this entire kit. 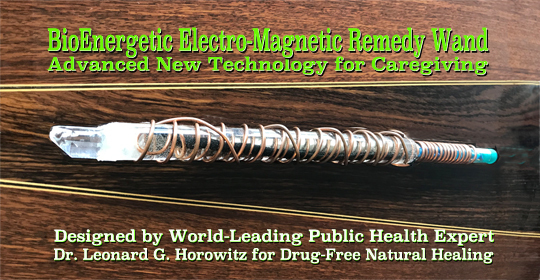 Having been taught, and having purchased a few needed materials, you too can make many of these beautiful therapeutic products yourself by following Dr. Horowitz's easy-to-follow instructions. These valuable instruments are two of four commercially-viable products featured in Dr. Horowitz's 12-credit hour certified "Frequency Rehab Course." You might want to take this Course before or after you purchase this BioEnergy Rehab Kit. 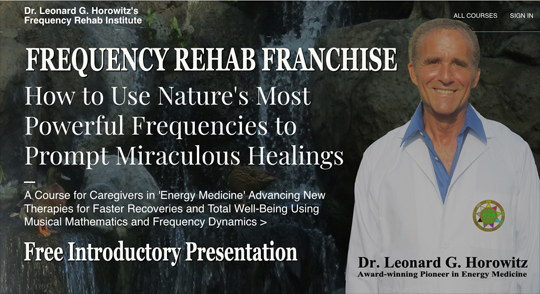 The total Course trains you to own and operate a virtual 'Frequency Rehab Franchise' in your community. Dr. Horowitz's Course also trains you to start your own brand of BioEnergy healing products. These products are highly recommended for forward-thinking, entrepreneurial, health professionals, and owners of spas and gyms wherein you can offer and provide these natural healing services for a fee. And yes, making this purchase permits you do deduct your payment from the Course tuition. More information about this Course is linked HERE. *BioEnergy Wands and Chakra Disks are obviously not drugs, nor can they reasonably be misconstrued as drugs. They are not intended to diagnose or treat any kind of disease condition. These products have not been evaluated or approved by the FDA. But they are intended, claimed, and experienced to produce relaxing, healing, pain relieving, energy balancing, and generally beneficial results during and after use. 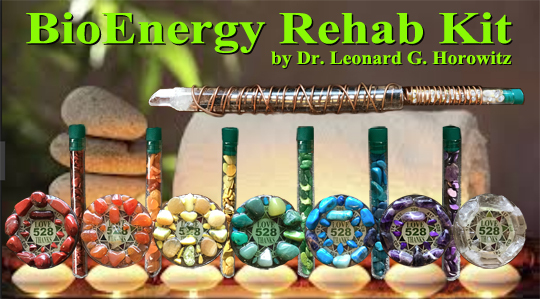 Click the button below to add the BioEnergy Rehab Kit to your wish list.